The 2015 marching season was one for the ages. No one could have predicted the amazing, bizarre and heart warming moments that came from bands across the country. From spaceships to photo bombs to the power of the band family, 2015 will be remembered as one of the best and well craziest seasons in marching band history. This caught the attention of everyone and their mother from jokes on late night television to ESPN and beyond. The firestorm was brutal and unfortunately too many non-band analysts were the ones making decisions. Director of the K-State Marching Band, Frank Tracz, was suspended and the band was fined $5000. 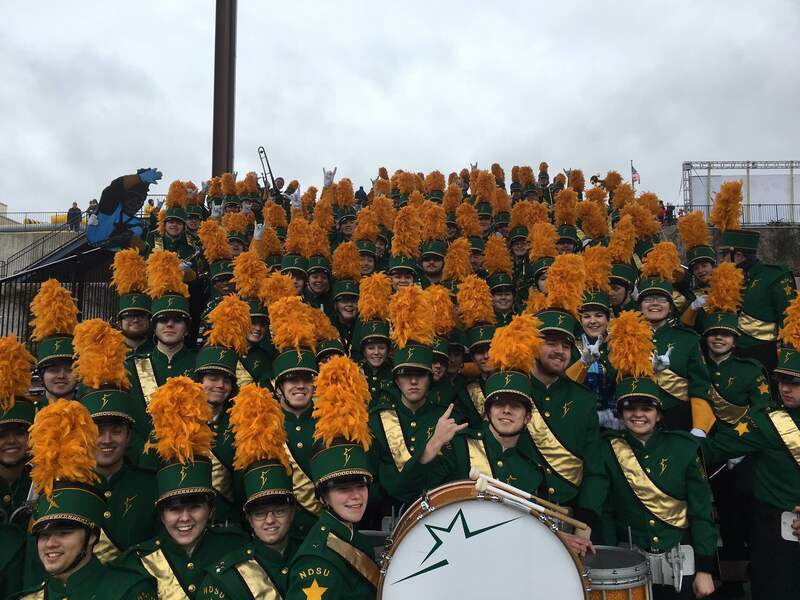 The band world rallied around the KSU band and within hours a GoFundMe was started which raised over $12K in it's first day to help pay for the fine. When you watch the band's full show you can see how incredible of an opening performance it was and how there clearly was no intention by the band to do anything inappropriate. Once the dust settled after the Kansas State debacle, the season really took off with some amazing performances and moments. Western Carolina University and Jacksonville State University once again proved why they are two of the best band programs in the country. It is tough to match their power and precision. If these two bands were to ever meet at a game, people would be trying to climb the walls of the stadium at halftime to watch them battle on the field. Whew they are good and HUGE! On October 10th the South Carolina Gamecocks were scheduled to host the LSU Tigers for their football game. A hurricane caused the game to be moved to LSU which meant the USC band would not be able to play for their team. Enter the LSU Tiger Band. The band played the USC Alma Mater at pregame and also played the USC fight song after each score so the players felt like they were at home. It was a great moment in college football. Later the USC Band would team up with the Clemson Tiger Band to remember the Emanuel Nine victims who lost their lives in the shooting in Charleston, SC. The bands spelled "SC Strong" together. The Wisconsin Badger Band showed how awesome the Band Family is by surprising one of their big fans who finished her final treatment of chemotherapy. The Texas Tech Goin Band challenged the Baylor Golden Wave Band to find Bone Marrow Donors with the Be The Match Campaign. Over 30 bands are now participating in this great effort to save lives. Bandoween, the Best Holiday of the Year! There are always sad moments in band and no we aren't talking about marching your last game. This year we remember legendary Jacksonville State University Director Dr. David Walters who led the Marching Southerners for 30 years. 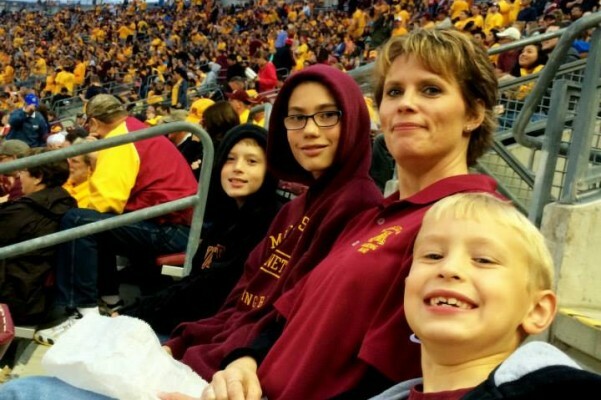 We also remember Toni Diem, the wife of Tim Diem the Director of the Minnesota Marching Band who lost her battle to cancer. Last year thehe band community rallied to raise money for the family to go to Disney. In 2015 they got to take their trip and were incredibly thankful to all the donors from the band world. We also remember Zack Ho Lung from the Florida State Marching Chiefs. On October 8th the band community mourned the loss of Zack who was a senior sousaphone player in the band. The Chiefs weren't the only ones who remembered Zack. 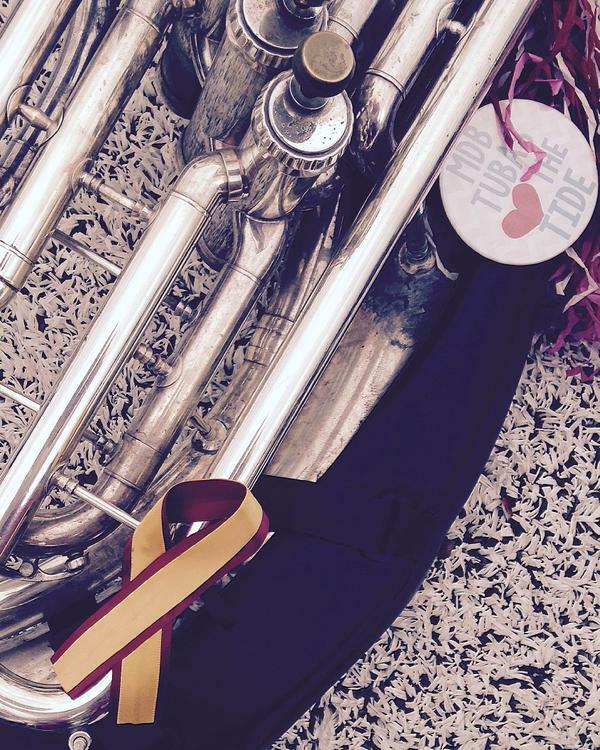 Sousaphone sections across the country showed their support for the Marching Chiefs by wearing ribbons in his honor. This one from the Alabama Million Dollar Band was one example. God band couples are the best. And of course the Stanford Band's FarmersOnly.com performance at the Rose Bowl which has now caused the Bowl to review it's halftime policies. THIS IS WHY WE CAN'T HAVE NICE THINGS! We can't forget the elephants in the room, Star Wars and Back to the Future. Everyone did a Star Wars show or Back to the Future Show or both! Back to the Future celebrated it's 30th anniversary and the Force Awakens fever swept the nation as the biggest movie of all time was a constant theme of halftime shows throughout the season. No one topped USC though with their intro by Mark Hamill himself! Bowl season capped off the year by celebrating some of the best shows of the year and put bands on a grand stage at the National Championship game thanks to ESPN broadcasting the pre game and halftime shows of both bands on TV and online. And the North Dakota State Gold Star Marching band Seniors graduated as 4-time National Champions in the FCS. Not a bad way to end your marching career! Now band members face the same issue all marching band members have ever faced in the spring semester... what do I do with all my free time?!? Don't worry, band camp will be here before you know it! Will 2016 top 2015? We will just have to wait and see. What we can tell you is that there certainly will be no shortage of amazing halftime shows, bizarre moments and heart warming stories. That we can guarantee! Don't worry we'll be right in the middle of all the action so you don't miss a thing!